Gratitude strikes my heart like a bell, resounding love through my being. Gratitude opens my heart to Love’s purity, my very own essence! I experience such deep gratitude for my heart, my essence, my ALL of Life! 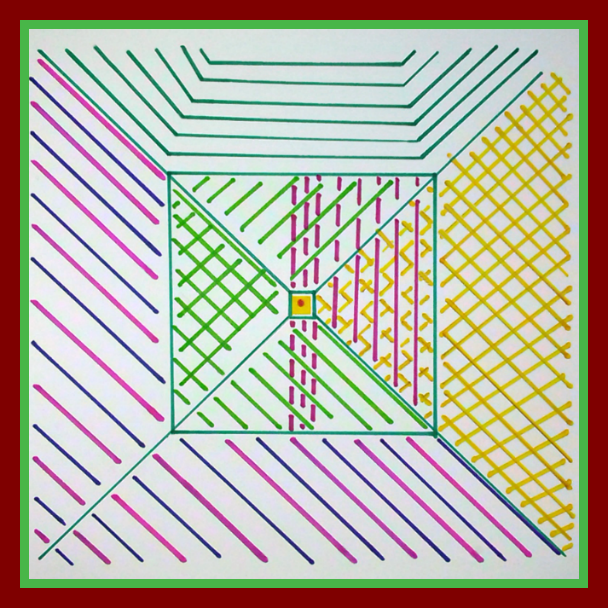 There was something rhythmic and steady about drawing repetitive lines while listening to the Guiding Thought. I felt my mind let go so that the words were able to quite literally resound through my body, carrying with them the feeling behind the words. By the time I was finishing the picture, I felt gratitude that was in my body, visceral and organic. I’ve never experienced that before.